As a mommy to three young children, I’m increasingly aware of the need to protect them. It’s wired in as soon as that little human being starts growing in our tummy. I mean, really… think about the magnitude of that God-sized miracle! There is an overwhelming sense of responsibility for this tiny creature. We’d lay down our life for them. We even think we might kill them some days. There is no denying that we are crazy in love with our kids. We all want the very best for our children. 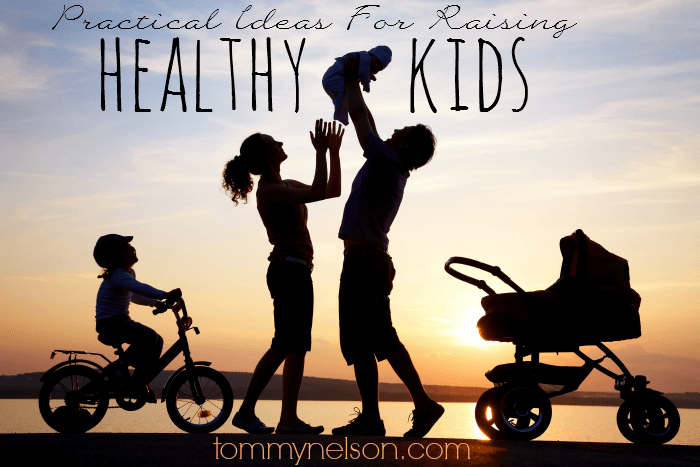 As parents, how can we raise them to be healthy? Give them back to the one who placed them in your womb in the first place. By giving up our control and acknowledging that they are the Lord’s first, is truly freeing. God loves your children leaps and bounds above what you even do. God is love and He is the one that put that love in your heart for your child. You and I will never be perfect at parenting. I remember the first time I yelled at my child- I thought I was such a horrible person. I felt alone with my anger. I thought I had failed. But God was right there with me every step of the way. He gave you your children for a season- make the very best of the time you have and forgive yourself often. Just because you have bad parenting days, does not make you a bad parent. Pick yourself up and try again. Isn’t that what you and I try teach our children? There is so much pressure out there to feed our children what is deemed “the best”. We hear all this hype about clean eating and organically grown produce, and you may feel like you are coming up short when you give your children hot dogs and cheese balls. Trust me, I get it! But the fact is, just do your best. Give them healthy food when you can. Give it your best effort. Most days if our kids have clothes on, are fed, and are alive at the end of the day, we were successful. Give yourself grace. We need to be teaching our children the ways of God all throughout the day. Whatever your day looks like (because we all choose different ways to parent) be mindful in the moments you have to impart spiritual truths and wisdom to your children. Open the Bible and read in front of them. Memorize scripture together. Disciple your children as you live. There is no such thing as giving your children too much affection. Hugs and kisses and praise and adoration is good for them. You can’t ruin a human being by pouring out more love and attention. Children feel secure in a loving and welcoming environment. This is key in raising healthy children. Are you careful to model self-control before your children? As they watch you spend money, eat your food, or express your emotions, are you being a good example? Self-control is a fruit of the Spirit and will only be lived out as we are walking in the Spirit daily. Get into God’s Word, it’s vital for your life and the lives of your little ones. I have a passion for healthy living for women. I think it is so important and it’s also something I will struggle with for a lifetime. But I’m very careful to never use the word diet or fat or other degrading and defeating words. I make a careful effort to talk about being healthy, and taking care of the bodies God has given us, to seek to be strong and fit for God’s glory. There have been countless studies proving the benefits of reading with your children. But what about when they get to be teenagers? Sometimes we think that certain behaviors outgrow themselves, but why do they have to? I think it would be truly beautiful to be reading with my children into their teen years. Do you remember a time when you ruled a person out as a friend because you pre-judged them. Maybe it was the way they looked or acted that made you close your mind to befriending them. I’ve done this before. But, I’ve learned to go out of my comfort zone and welcomed all different types of friendships. I’ve come to find that some of my very closest friends now were the ones I took a leap of faith on. Teach your children to be a good friend to all sorts of people! Remind them that cliques aren’t of God and He wants us to be a friend that loves at all times, to all people. My daughter just started reading this book: Channing O’Banning And The Rainforest Rescue. Channing is a fourth grade girl who is a budding artist. She lives outside the box and these books are full of hilarious stories that every kid can relate to. This book navigates the world of young friendships and teaches that first impressions aren’t always correct. This entry was posted in Blog, Tommy Nelson by Traci Little. Bookmark the permalink.